Few things are more frightening than waking up with the disturbing realization that you are unable to move. After an episode such as this, it is no wonder that people often come to us asking about sleep paralysis. While there is some comfort in knowing that many people throughout history have dealt with this upsetting condition, it is not so reassuring to discover that getting to the bottom of your sleep paralysis can be complicated. As you search for answers regarding why you or a loved one wake up feeling as though your body has been taken over by some unseen force, use this guide to help you understand more about what is happening to disrupt your sleep at night. Do you have trouble getting to sleep because you have a “weird” feeling in your legs? It is technically a disorder of the nervous system that falls under the category of sleep disorders since you usually suffer from it at night when trying to fall asleep. Also known as Willis-Ekbom Disease, it is that funny feeling in the legs that sits somewhere between “pins and needles” and an itch that you just can’t seem to scratch. When you have anxiety at night, you get caught in a vicious cycle. You can’t sleep because you are anxious about something. Then, you get even more anxious because you can’t sleep. Anxiety can ruin the quality of your life especially when it keeps you from sleeping. Overcoming your anxiety at night will help you get your sleep back and dramatically improve your life. To get a full night of sleep, you need to be able to relax when it’s time to go to bed. Certain sounds can help immensely with relaxation. Although different people find different sounds to be relaxing, there are certain sounds that are almost universally helpful for calming the body and mind, therefore preparing your body to fall asleep. 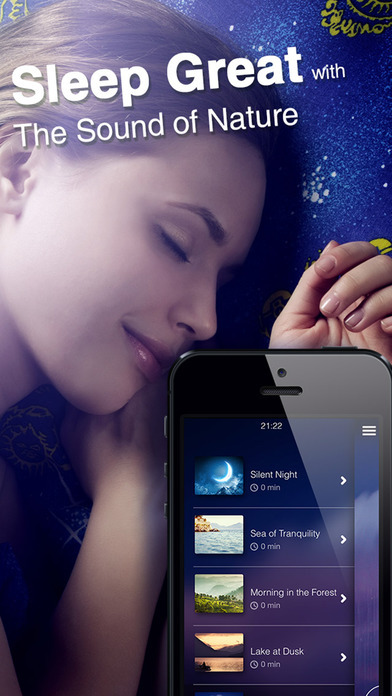 The best sounds to sleep to are ambient, repetitive, and soothing. Playing soothing sounds as you try to fall asleep is especially helpful if you live in a noisy environment because it will mask the distracting noises outside and help your body become calm enough for rest. We've gathered a few of the most helpful sounds for falling asleep below. If you'd like to add to your site, head over to this page for the HTML snippet. For many people, it's something of a ritual. After they wake up, they turn to their partner, shake them awake, and say, "You won't believe the dream I had!" But for most of us, whether we have dreams of swashbuckling with pirates, solving murder mysteries with Sherlock Holmes, or accidentally arriving naked at our graduations, one thing remains constant: dreams are out of our control. They're something that happen to us rather than something that we make happen. Lucid dreaming flips that assumption on its head and, if you learn how to lucid dream tonight, the rest of your evening will start looking very interesting, indeed. Lucid dreaming is the practice of becoming aware and conscious while you are dreaming. People who are able to lucid dream are able to take control of their dreams and create narratives for themselves rather than by being controlled by their dreams. Recommended book: A Field Guide to Lucid Dreaming. Lucid dreamers go to sleep at night knowing that they have eight hours of adventures in store. When they tell people about their dreams, they are telling their friends about stories that they experienced as vividly as they experienced anything else in their waking life. If you're looking to learn how to lucid dream tonight, we've got the background information and tips you need to be successful. Many people wake up after a particularly vivid or powerful dream and wonder, "What does my dream mean?" Humans have been attempting to decipher the messages found in dreams since ancient times. There are many opinions about dream interpretation, and people have studied dreams using methods ranging from the scientific to the spiritual. Join us as we explore the history and theory of dream analysis, and learn to interpret your own dreams. If you suffer from back pain, you know how difficult it is to find a comfortable position when you sleep. It is a vicious cycle because you need to sleep to heal your back, but you cannot sleep because of the pain. So, what is the best sleeping position with back pain? In this article, we will review the best sleeping positions when you have back pain. We will also explain how to get even more comfortable in bed, offer tips on what you can be doing to help get rid of that pain, and offer some products that will reduce your back pain. Some people think that jet lag is a figment of one’s imagination. 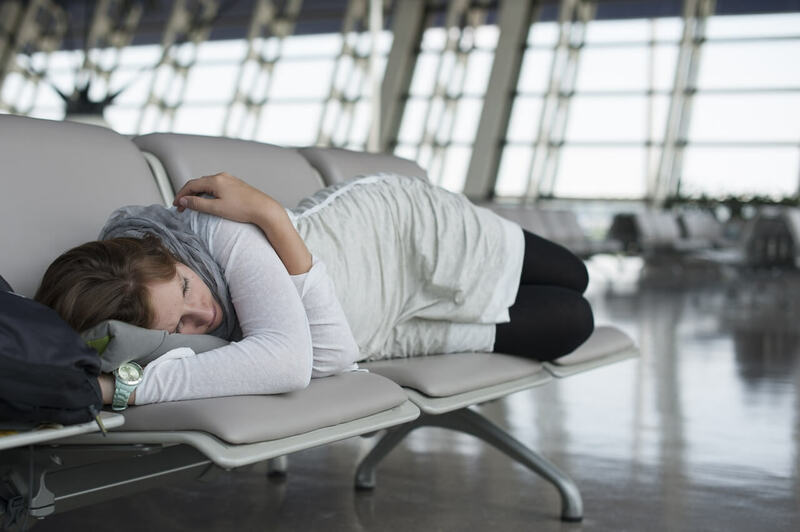 After all, some people see jet lag as a state of mind, where you can simply shake it off (but not as well as Taylor Swift) by simply napping before or during your flight and thinking happy thoughts once you land. In this article, we'll go over some proven methods on how to avoid jet lag.